It’s always a privilege to check out new gear in exchange for your honest opinion. Thanks, iFi for letting me in on this particular party. I’ve been borrowing this unit as part of the worldwide iFi tour. This is my fifth review of a piece of iFi gear. 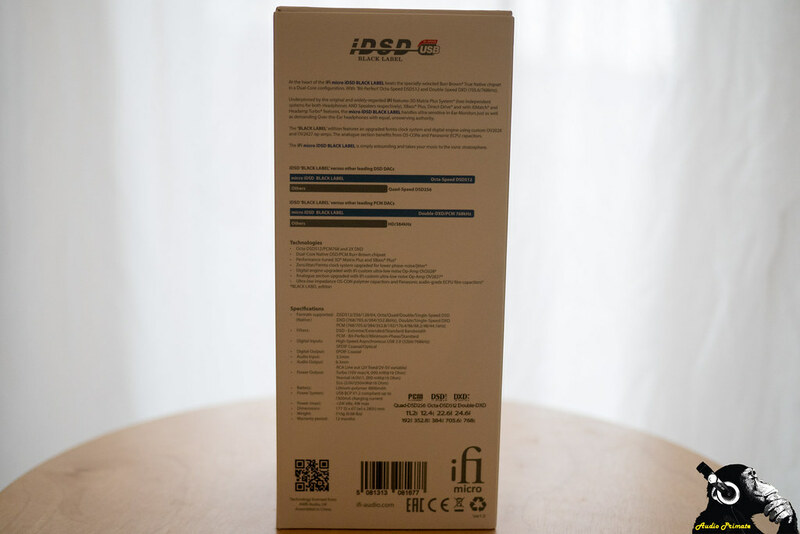 I’ve previously reviewed the Micro iUSB3.0 (own it), the Micro iDAC2, and the iPurifier2 (extreme value for money and good performance)(links are to the reviews), and have a review of the Micro iCAN SE. 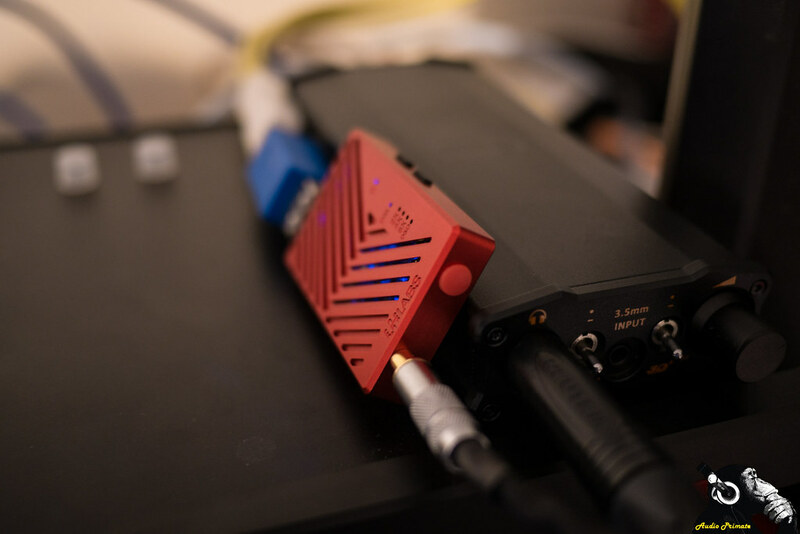 I’ve also had brief listens to the Micro iDSD and the Micro iCAN, so I feel like I’ve got a good idea of what iFi has to offer now, and it’s generally good, though few products have reached anywhere near the wow factor of the first product I reviewed, the Micro iUSB3.0. The iDSD BL just may reach for that summit. I’ve experienced a good working relationship with iFi and every item I’ve reviewed for them has been worth at least four stars. They make excellent products with extreme capabilities, and the newly upgraded and optimized version of the the Micro iDSD is no different. 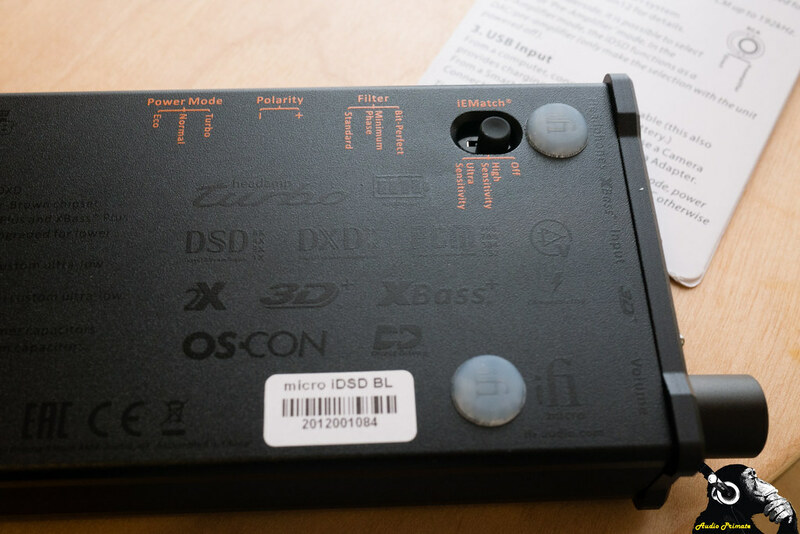 It packs a lot of power in a portable package, has a big battery, was developed with the community, and has an extremely capable DAC that plays every format worth delving into and some that are probably just wastes of space—I can’t tell the difference between DSD128 and DSD256 and PCM352, I’m pretty sure that I won’t hear anything different with DSD512—but good on iFi for being ironclad ‘buzzword’ proof. It’s a philosophy that I think Jason Stoddard of Schiit would probably smirk a little at. I won’t smirk. 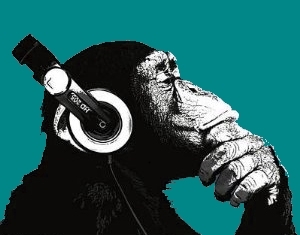 I actually do have a lot of respect for letting people play whatever music they want and doing your best to make it sound as good as you can even if you know that they are fools hearing placebo effects or just anything they think they want to hear. I think iFi’s dedication to serving their customers desires, within reason, is very enviable. I appreciate the amazing Schiit—the Yggdrasil is still one of my favourite DACs and I am eager to hear the Jotunheim—being turned out by that California powerhouse of affordable audio, but I’d really like to be able to play my DSD without using the sub-optimal Loki. A DAC named after the trickster god shouldn’t do one trick and only in limited fashion—it didn’t even play DSD128. 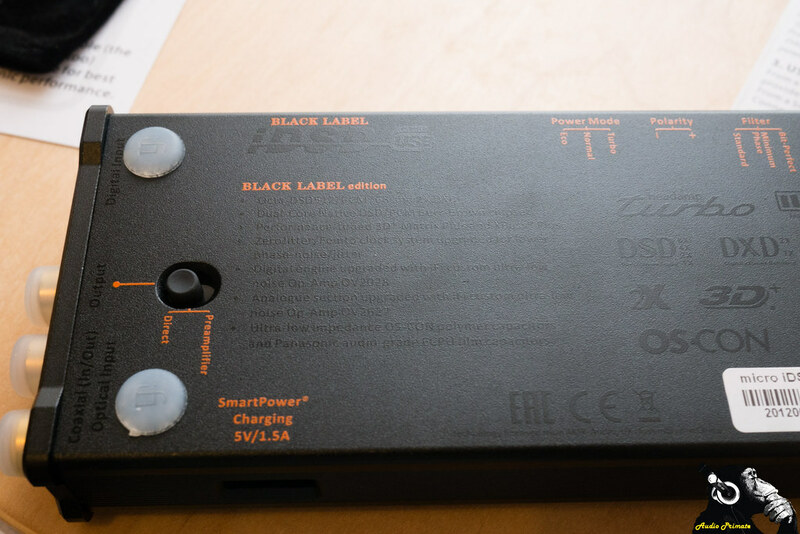 The iFi Micro iDSD Black Label isn’t trying to do one thing and do it well. It is trying to be a veritable Swiss army knife of audio goodness that is small enough to carry in similar fashion to perhaps the world’s most famous multi-tool—I got my whittling badge in Cub Scouts with a Victorinox knife. I doubt the iDSD BL will ever reach that level of fame, but I imagine I’ll have a lot more uses for it now that I’m not living in the deep woodlands of Alaska and not earning any further whittling honoraria. Let’s see what this baby has going for us. But first, here is a mea culpa and description of my predilections. It takes a confident person, or maybe a fool—I resemble both—to buy shoes from a brand that they’ve never tried on. Reading a review without knowing anything about the reviewer is a similar thing, so there’s some pertinent information about me below the fold. 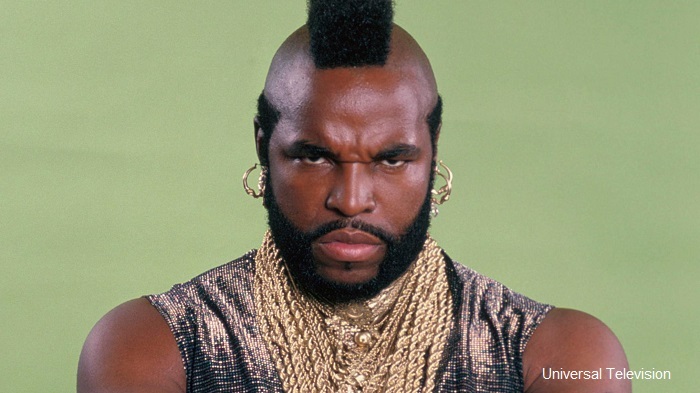 My brother used to have a Mohawk but not like Mr. T’s awesome Mohican. It was actually a Mo-mullet. It was probably the worst haircut I’ve ever seen. Shaved on the sides, short on top, long in back. Totally unique, in totally the wrong way. 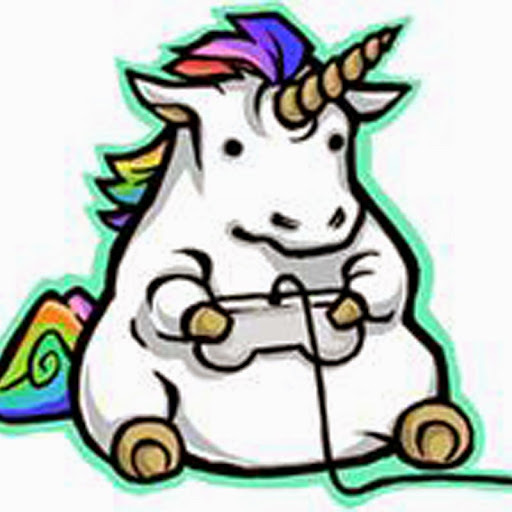 My brother the unicorn. Those who like Ace will understand. Must not sleep, must tell others. Those poor lines above are mine, not Aesop Rock, so direct your hate mail at me for the bad attempt at rap. Ace rocks the lyrics better below. The Micro iDSD BL has the same form factor as the whole micro series, but has traded out the straight aluminum (aluminium for some folks) sheath for a stark matte black scabbard with orange accent lettering. I was a bit worried that the orange lettering would look garish and never allow me to escape the conquest of Jack-o-lantern images in my head. Luckily for me, and all those thinking of buying this little beast, the orange is very well executed and the black looks amazing. It looks like I’ve got a miniature panther sitting atop my other audio gear, but there are no eyes to see on this in the dark, nothing to let you know that your ears aren’t about to be bombarded with bliss. It’s a stealthy joy cannon. The switches are well labelled, as is the headphone jack, 3.5mm input, and all inputs and outputs, but lordy the volume knob could use an orange dot to know not to blast my ears too badly. This thing can throw out a lot of wattage, so a little warning would be good. As is, there is just a barely visible black line to let you know what volume you are at. The line is cut into the knob, so you can feel the volume before you hear it at least. Similarly, if you want to read anything on the bottom of the iDSD BL, good luck with that. The writing is dark grey on a black background. Not the most clear choice of text. The good news is once you know what you are doing, and through using the user manual, the text on the bottom is made irrelevant. There are lots of features on the iDSD BL. I’ll take these features one by one. Power mode: the iDSD BL, like it’s predecessor has three power modes, it’s a bit like gain settings. Turbo delivers 8W, while normal delivers 4w, and Eco delivers 250mW into 16Ω. My personal preferences with the HD600 was normal at about 2 o’clock. With the Noble Kaiser Encore, I liked Eco mode at about noon. I liked the Ultimate Ears Reference Remastered (UERR) best in Normal with volume at about 11 o’clock. iEMatch: the Noble Kaiser Encore is pretty sensitive and has pretty much never needed much of anything to drive it on anything that I’ve drove it out of, but it didn’t need iEMatch. I don’t have any more sensitive IEMs on hand. One advantage of IEM match with the Noble Kaiser Encore was more sensitive volume control. When I turned to high sensitivity my volume adjustment became finer. I tried the UERR in High Sensitivity, but had to put the power level into Turbo, which comes with some noise floor consequences, so negates some of the benefit. I preferred the UERR with iEMatch Off and power set to Normal. 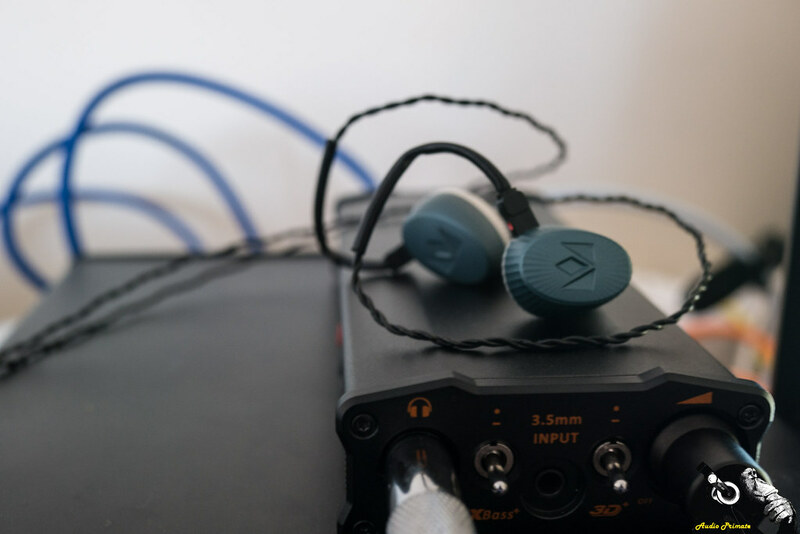 With the Noble Kaiser Encore, I tried Eco and High Sensitivity, but found that I preferred Eco with Normal, as I perceived a slightly larger soundstage. XBass: gives a small dB boost to lower frequencies without touching the mids. It’s a really nicely executed effect that worked well with the HD600 and the UERR (especially with the UERR). 3D: I was previously a fan of this on the iCAN SE, but the iCAN SE amp was not as good sounding as the iDSD BL, from memory, and I find the change on this iDSD BL is not as subtle as the XBass effect. It does give a bit more air, but it also pushes some instruments forward (cymbals particularly), which will be pleasing to some but sounded a bit unnatural to me. I like an organic neutral signature most of the time, without any particular sections of the frequency range sounding too far forward. The 3D switch goes a little too forward and v-shaped for my tastes. That’s OK, though, as it is designed for variation, the standard is soooooo good, I generally don’t even touch the switches (maybe the XBass from time to time, depending on my mood and my material). 3D is awesome with the Meze 99 Classics. Filter: there are three filter settings—standard (not for DSD or DXD), Minumum Phase, and Bit Perfect. I tested these out with the Rebecca Pigeon – Spanish Harlem, and noted that the sound got warmer and less sharp as I dropped down the ladder from Bit Perfect to Standard. The differences were very subtle. With DSD256 (Trondheim Solistene – Frank Bridge Variations 4. Romance, from 2L recordings), I noticed increased volume as I went down the ladder. With DXD (Hoff Ensemble – Bøhren/Åserud: Blågutten) I didn’t notice differences—it all sounds wonderful. Native everything. Cookie Marenco over at Blue Coast has previously emphasized that the less conversion that happens, the better; this is why they say recordings that they receive in PCM192 sound best in PCM192, not DSD. This plays native DSD to OctaDSD (512) and DXD to double DXD (768mHz), and all the other PCM you can eat. If you need DoP it’s there, but trust me, you don’t need it. In other good news, I powered the HD600 for at least 13 hours on battery power, so the battery has plenty of guts. The reason I say at least 13 hours is I fell asleep and it was off when I woke up. I was doing the battery test passively, as 13 hours is a long time to be in one place. I fell asleep after watching the Seahawks dismantle the Panthers—that game ended at 5 AM here, I was le tired. 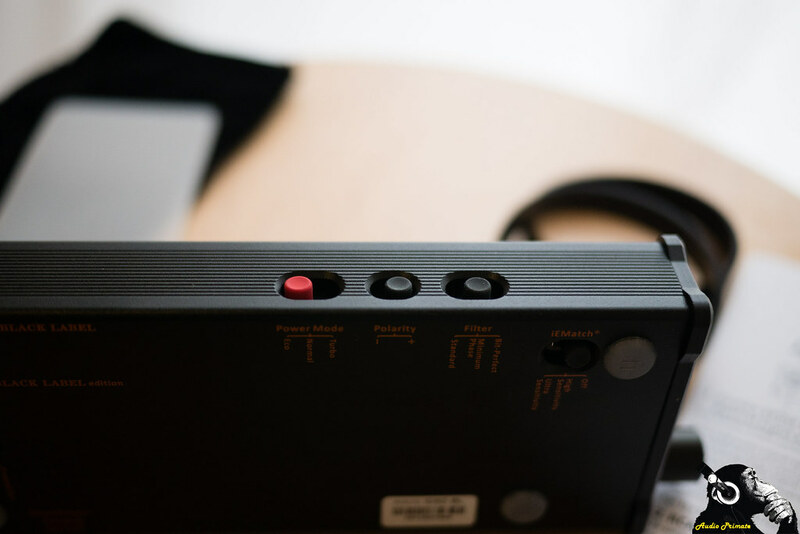 With no switches engaged the iFi iDSD Black Label is dead to rights neutral. It lets the headphone do the singing. This is very similar to the LH Labs GO2A Infinity I just recently picked up. These two DAC/Amps share quite a bit in common, actually. Both are made out of aluminum, both have multiple gain settings, both output 1W at 16 Ohms (normal mode for iDSD BL), both are freaking excellent neutral DACs. The GO2A Infinity, for all its qualities, can’t play DSD256 or higher, uses DoP exclusively, doesn’t have a battery up in it (GO V2+ for that), doesn’t have the sheer headphone matchability, and doesn’t have digital or analogue outputs outside of headphone outs—of which it has a 3.5mm TRRS balanced and a standard 3.5mm jack. Also, the GO2A doesn’t have the magic switches found on the front of the Micro iDSD Black Label. Let’s talk about those switches. I first threw the iDSD on with another item I’m reviewing, the 1MORE MK802 using the optional 3.5mm cable (it’s a Bluetooth headphone). I tossed some white noise on to see if I could hear the shaping effects of the switches. When I flipped the 3D switch the pitch of the white noise became higher. It was a very noticeable change. I then flipped off the 3D switch and flipped on the XBass switch expecting a similar lowering of pitch. I couldn’t hear the difference with white noise. However, when I threw on the new Chesky 30th Anniversary Collection, the bass switch was subtle, but noticeable, and more so when I switched to the HD600. From what I can tell the XBass gives a subtle subbass boost that is just big enough to make bass notes more full and drum strikes have more palpable impact and air in the strike. XBass can lend bass guitar and stand-up bass some really nice grunt, too. The 3D effect is accomplished through a treble boost. Neither boost messes with the midrange frequencies, which is really nice. 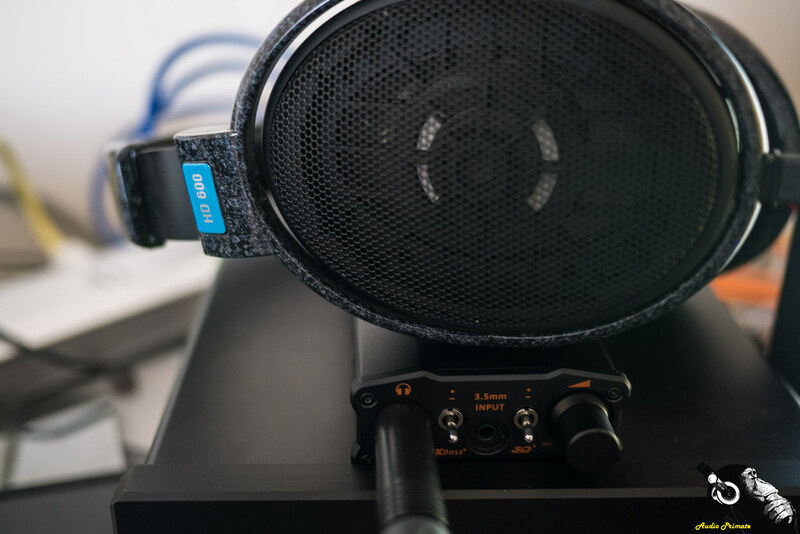 The boosts are subtle modifications that allow you to give more fulfilling bass on a slightly bass light headphone like the HD600 or give a little more perceived soundstage on a treble limited headphone. Also, if you have a neutral phone and want it to sound more vibrant you can flip the switches. If you want to paint in technicolour shades in a landscape in your audio dreams without losing the central image and symbolic language, these switches let you do that. In several words the iDSD Black Label is: clear, neutral, powerful, and flexible. I tried the iDSD Black Label with the HD600 (Normal, iEMatch Off), the Noble Kaiser Encore (Eco, iEMatch Off, soft hiss on Normal), the UERR (Normal, iEMatch Off), and the Meze 99 Classics (Eco, iEMatch Off, hiss on Normal) it delivered all courses deliciously. When I craved a bit more bass from the HD600, the XBass took care of that; and when I wanted to balance out the signature of the Meze 99 Classics to make them clearer, I switched on 3D effect; but generally I found I liked the iDSD BL vanilla. It delivers such perfect neutrality. I think that the Meze 99 Classics really benefit from the 3D switch. The sound of them improves so much more to my liking—after listening to them with 3D on, I don’t think they’ll ever sound quite as good on other sources. The 3D switch balances out the extra bass groove that the Meze’s have. They don’t tighten that bass, but they put it into relief by sharpening the upper-mids and treble registers. I found that the 99 Classics don’t have sharp treble—I don’t get where that has been coming from; but do have boosted bass and mids. The signature is much more balanced with 3D engaged. One thing I did like with 3D was boosting the treble helped make some muddier tracks sound a bit more crisp, which to me was better than boosting soundstage. I totally dug the increase in perceived resolution. 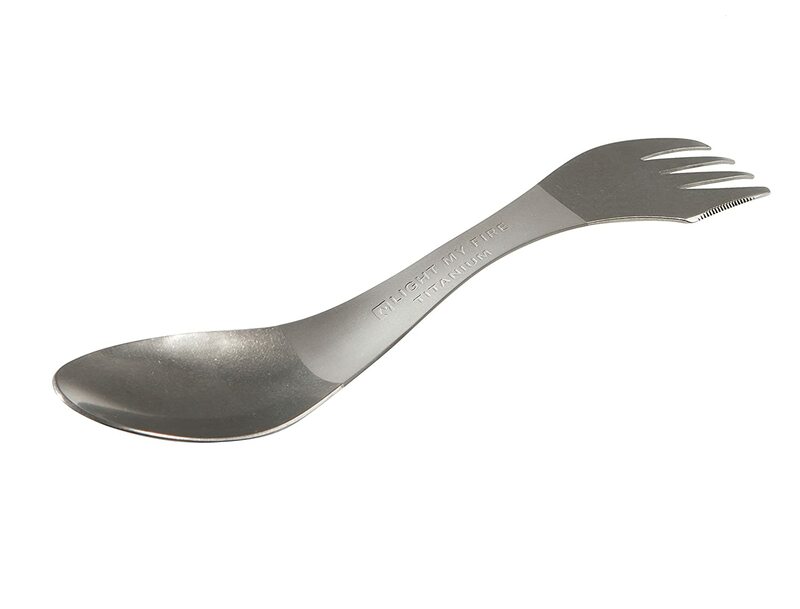 Duller tracks had their camping spork audio transformed into restored functional blades, but not into Japanese steak knives. My primary listening for the review was Bob Dylan – Highway 61 Revisited in 24/96. The album is excellent and excellent sounding. You really understand why Bob Dylan just recently won the Nobel Prize for literature—his words are poetry that moved the world and shaped music in his heyday and will continue shaping music long into the future. I used this to generate my initial impressions above and gauge the capabilities of the device. Before I do some comparisons, here is the relevant info about my set-up(s). When comparing the iDSD to the Airist Audio Heron 5, the Heron 5 has more grunt and soar across the whole spectrum, clearer holographic mids, and a bit bigger stage (all dimensions), but both are truly excellent sounding. 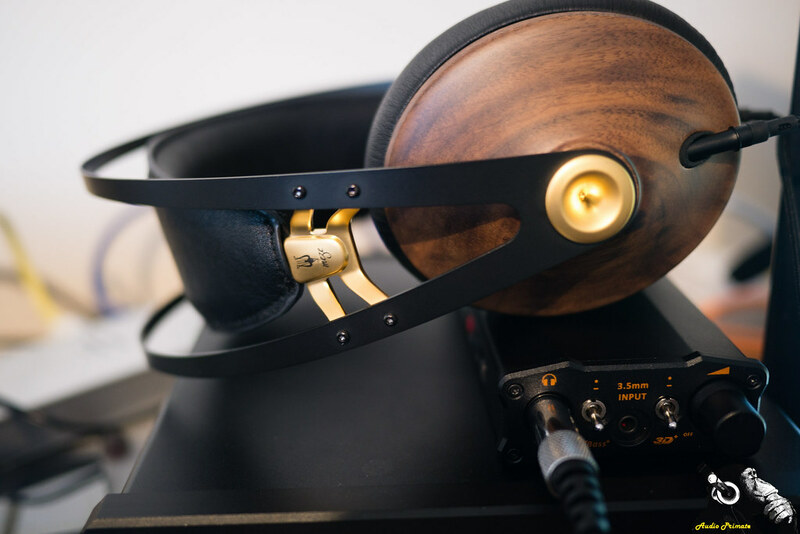 The Heron 5 costs $750 (on Massdrop when it comes up, $1000 direct from Airist Audio). The Micro iDSD BL costs $550. The caveat here is that when I reviewed the iCAN SE, I didn’t find the iCAN SE to do as well with power hungry cans as the Heron 5. For this review, I don’t have any of those top-tier cans on hand. With the HD600 the Heron 5 is better, but it isn’t as decisive a victory as the comparison with the iCAN SE. 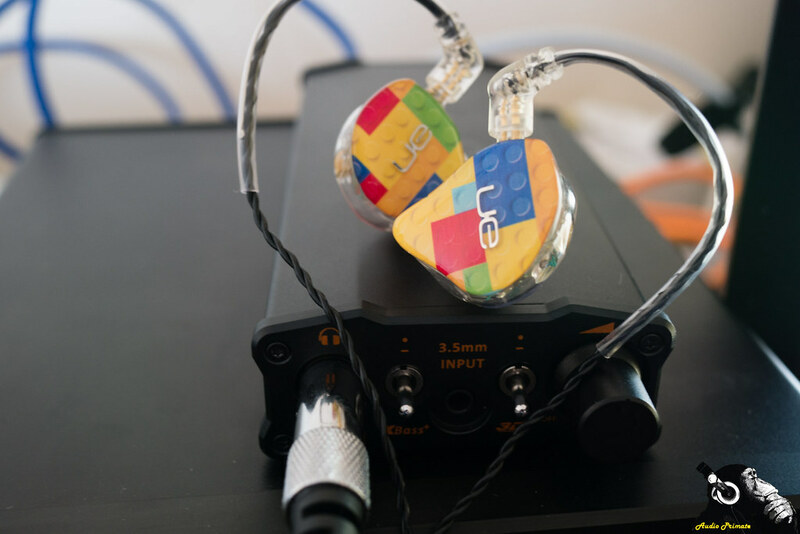 There are a lot of ways that the iDSD BL is better: you can use it with high sensitivity low resistance IEMs, it has an excellent DAC implementation, you can throw it in your backpack, the iDSD BL has excellent distribution networks, and the customer service of iFi is absolutely stellar. Overall the Micro iDSD BL is a way better value than the Heron 5. 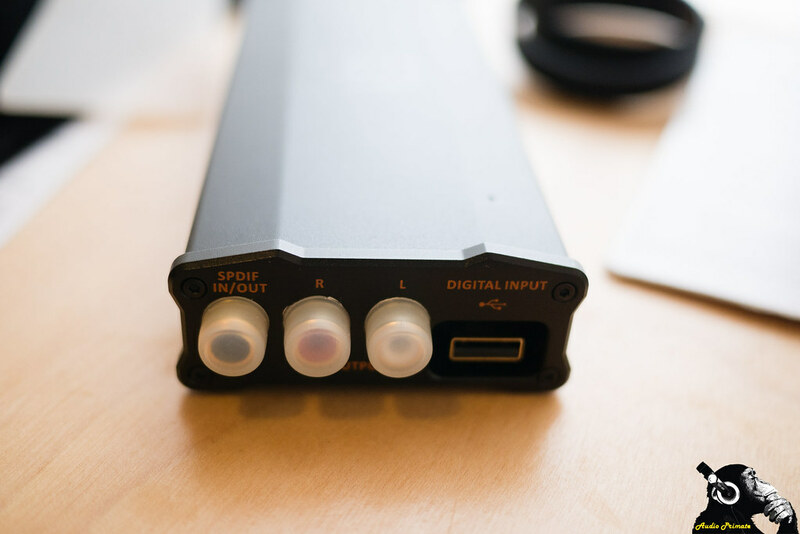 In this comparison the Airist Audio Heron 5 was also being fed by the Micro iDSD BL, so the incremental cost of the improved performance is really $750 or more, because the iDSD BL is responsible for some of the sound quality I’m hearing out of the Heron 5. When comparing to the Light Harmonic Labs GO2A Infinity in balanced, with volume matching, the two amps were nearly indistinguishable when playing at the same power output. The GO2A (1000 mW) setting is exactly the same 4w into 16 Ohm output as the Micro iDSD BL. The GO2A was a little smoother, with the iDSD having a bit tighter contours and more well defined edges. The GO2A Infinity and the iDSD BL both have good power and good matchability. The GO2A Infinity has three levels, 100mW, 450mW, and 1000mW into 16 Ohms. Potentially, the iDSD BL has more matchability than this with the various iEMatch settings. Both amps have about the same soundstage. The GO2A Infinity is tiny, but won’t have a chance in Hades of driving an HE-6 or AKG-K1000. The GO2A Infinity will do fine on most headphones on the market, and performs very well with my HD600 and the Noble Kaiser 10 Encore. For value, the GO2A Infinity is currently $349 (not including shipping/taxes/etc…, distributor network is poor), and the iDSD BL is available all over the place for $549 (£455, €599—dang, what happened to the Euro?). Another place that iFi wins is customer service. iFi are just better staffed and more responsive. 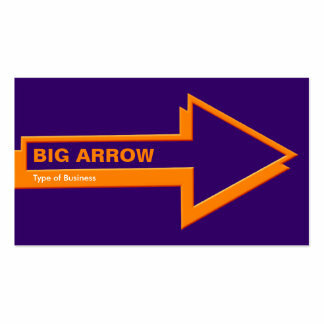 They also have had a better business plan to date and a lot better relationship with the community—needless to say. As expected the iDSD BL sounds great when fed by the coaxial source. Amber Rubarth covering Tom Waits’ ‘Hold On’ is still one of my favourite acoustic tracks. Sessions From the 17th Ward should be in everybody’s collection. I don’t care if all you listen to is mainstream pop, metal and EDM, if you can’t feel this music and can’t get into the stellar musicianship, I just don’t know what to say. Of all the manufacturers I’ve dealt with, and there are a few, iFi is the only one that makes what they are doing sound like witchcraft. Stealth technology, tube state, noise cancelling power USB coax etc… I don’t know how they do it, and don’t pretend to, but my lack of understanding won’t make me turn all Luddite and start bashing gears. I don’t need to understand it to enjoy it. It also has special Operationsverstärker, which is Operational Amplifier auf Deutsch. 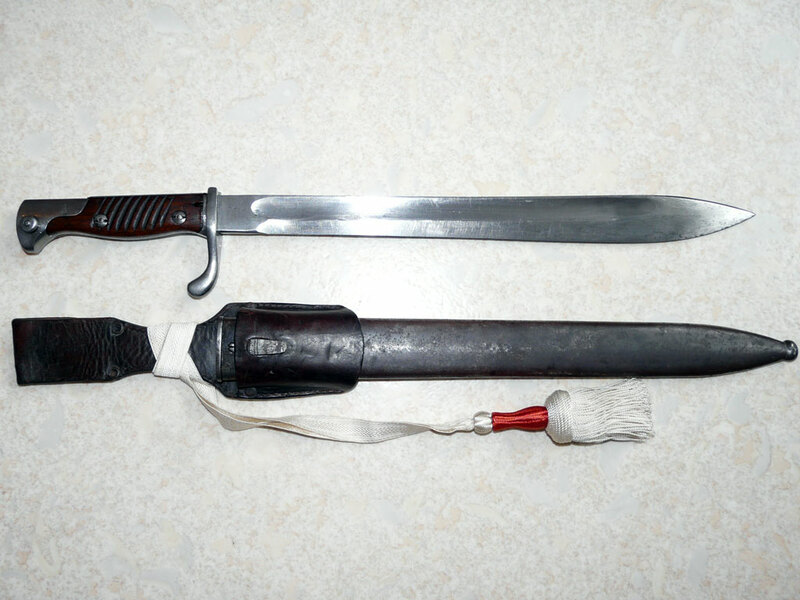 They use the cool copper-lead frames pictured below. If you want more text about this new-fangled contraption, check out the iFi website. Go get one. What the heck are you waiting for? 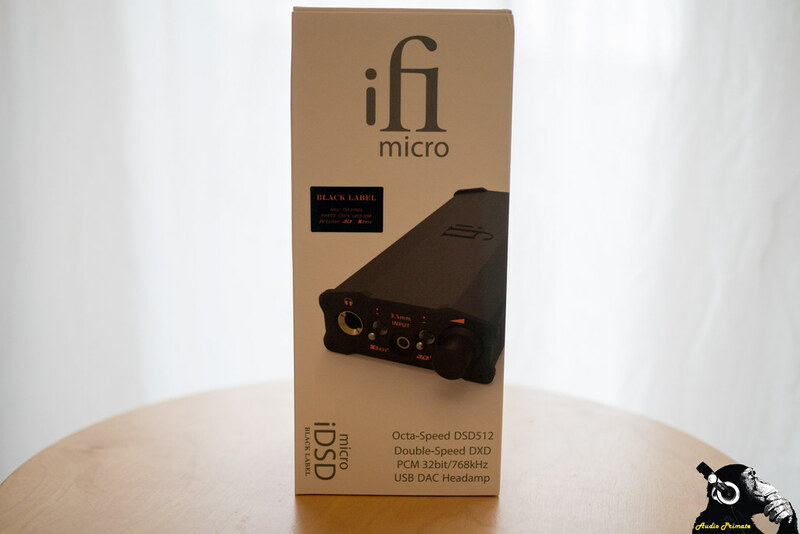 There isn’t a so easily transportable DAC/Amp combo out there with the technical capabilities of the iDSD Black Label. It has a crisp, transparent, neutral presentation. 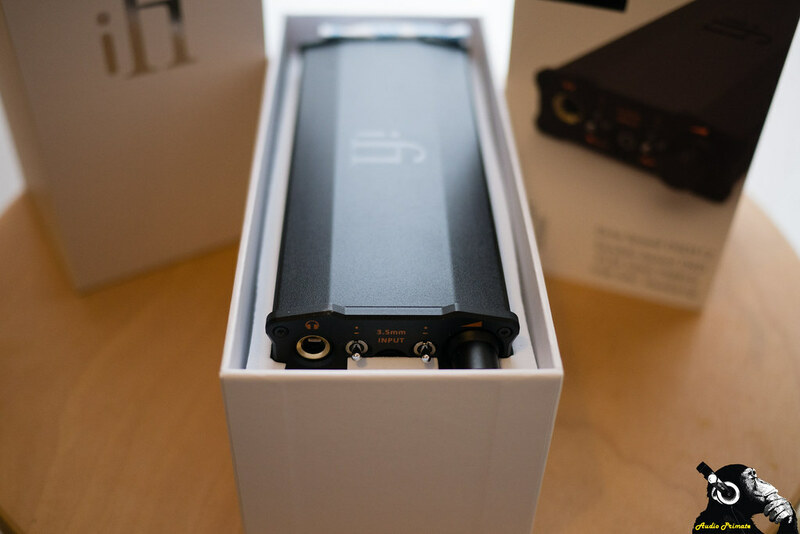 It can power headphones from the most delicate flower sensitive custom IEMs all the way up to the man-eating Bengal tigers of audiophilia: the HE-6. Beyond having power and finesse, it also plays any kind of music you throw at it Natively—no signal degrading conversion. If you needed some dessert with this 15 course dinner, the XBass and 3D effect switches give it to you. Have all the pudding you like, I promise the enhanced treble and bass won’t screw up your midsection. Pingback: iDSD Black Label : “What are you waiting for? Go grab one!” says Audio Primate! Thanks for the great review. I’m looking for a desktop balanced amp to use with the HD6XX and the Andromeda. 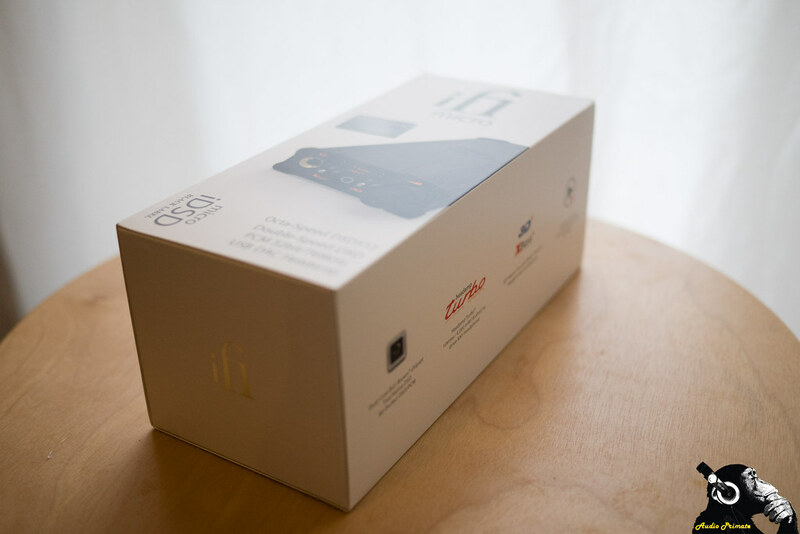 Ideally I want a great amp/dac that will do justice to the HD6xx. Do you think this is the best option for under $800 or would you have any other recommendations? I would love to find a tube amp that will work well with Andrimeda but I haven’t found one within my budget. Thanks again! The Micro iDSD Black Label isn’t balanced, but it is excellent for the HD6xx and will solve the hiss of the Andromeda. Whether it is best depends on use case. If you plan to listen to either of those on the go, than the iFi Micro iDSD Black Label probably isn’t the right choice. A Questyle QP1R and an iFi iEMatch would probably sort you for that price on the go. The new iFi xDSD should handle both, too. It handled the Abyss Diana at CanJam London 2018.